Arriance Infra Pvt Ltd is India’s one of the Growing Infrastructure company particularly for the wind power generation and solar power.With more than six years of experience in this field, we successfully executed several contracts on a turnkey basis with an aggregate value of crores. The company developed wind power projects with a total generation capacity of 500 MW in the states of Madhya Pradesh and Karnataka. 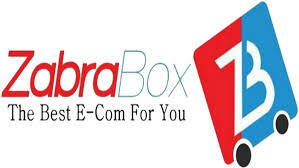 Zabrabox.com is the best online shopping site for all you fashionable women and men who never let style slip away. We have a collection featuring the latest apparels, accessories, footwear as well as home décor for all you fashionable people to shop from.